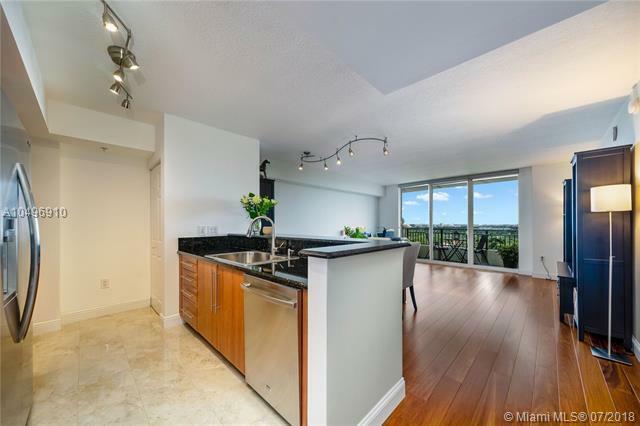 Picture yourself in this lovely condo at Gables Marquis! Gorgeous 1 bedroom 1 bath built in 2007 well loved and cared for. 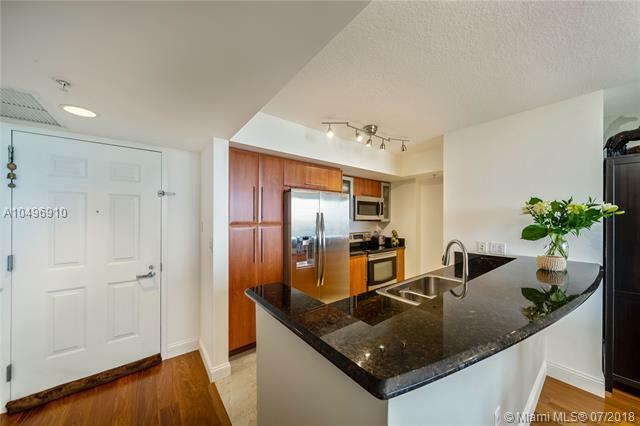 Kitchen features porcelain tile, Samsung stainless steel appliances and wood cabinets. 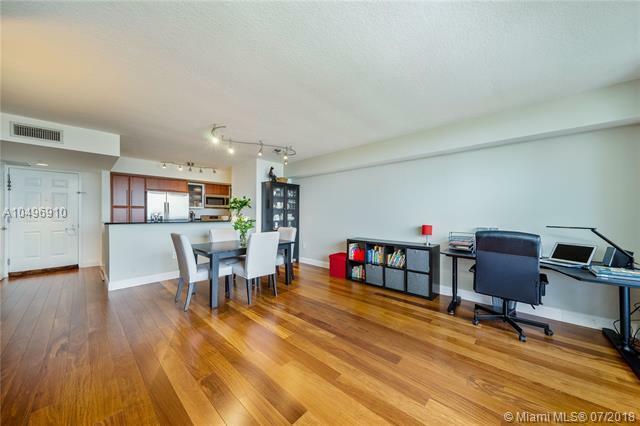 Adjacent Dining/Living area off kitchen with lots of natural light. Brazilian Teak wood floors throughout living area and bedroom. Master bedroom with built out walk-in closet with custom shelving, Travertine marble bathroom suite with double sinks, stand alone shower and separate tub. Large balcony overlooking the pool finished with porcelain floors. 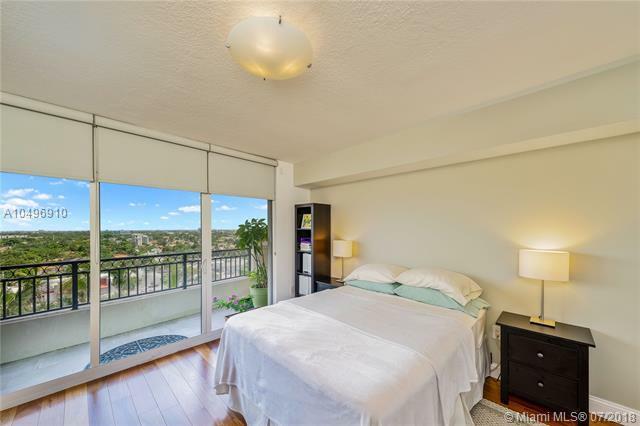 Enjoy views of the Coral Gables & Downtown Miami Skylines. Amenities include swimming pool, gym, business center, concierge, 24hr security, bicycle storage & more. Walk to shops, restaurants & entertainment in the heart of Coral Gables.